If you are looking for customized air flow 3400cmh electrostatic air cleaner on ahu made in China from a professional electrostatic air filter for air handling unit, modular electrostatic air filter for air handling unit ahu, modular electrostatic air cleaner on air handling unit, electrostatic air filter on air handling unit, air handling unit electrostatic air cleaner ahu factory, please feel free to contact us. Model ASF2000 is a commercial unit designed for use in Custom Air Handling System/Air Handling Units. It is a fact that Sick Building Syndrome exists in many commercial buildings, and having a good and reliable air filtration system in a major step towards improving the quality of indoor air. This in turn creates a healthy work environment for employees, reduces spread of infectious ailments resulting in less sick leave and increased productivity. ASF2000 replaces conventional media filters which are generally less effective and creates more pressure drop for the air handling system. Modular type. Multiple units can be connected to meet the system airflow requirements. 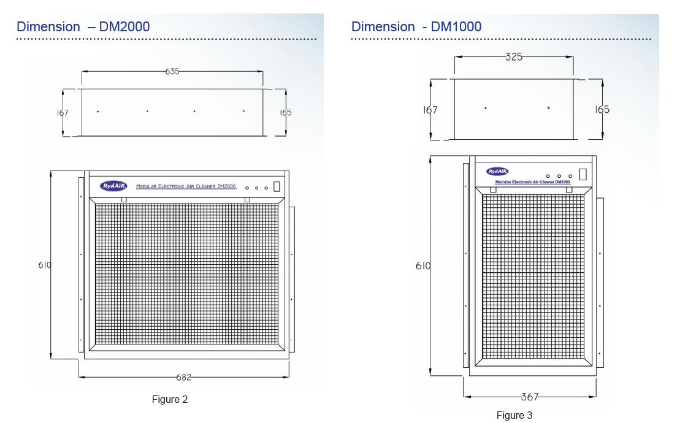 Pre-filter screen collect larger contaminants. Collects particles from 0.01micron and above. State of art power supply ensures peak operating efficiency. Power supply incorporates arc suppression features. Dual ionizing and collecting voltages for better efficiency. BMS relay contacts for connection to building management systems. Collections cells are front loaded making it easier for maintenance. Superior performance compared to conventional media filters. Unlike disposable media filters, cells are made of Aluminum and washable. Improves overall indoor air quality in the building. Contaminated air is drawn by the motor/blower through a washable metal mesh pre-filter which traps large dust particles. The remaining particles, some as small as 0.01micron, pass into a strong electrical field (ionizing section) where the particulates receive an electrical charge. The charged particles then pass into a collector plate section made up of a series of equally spaced parallel plates. Each alternate plate is charged with the same polarity as the particles, which repel, while the interleaving plates are grounded, which attract and collect the contaminants. The contaminants are held in these plates until they are washed away. Air cleaners trap dry particulates like dust, dirt, lint pollens, haze particles, etc.